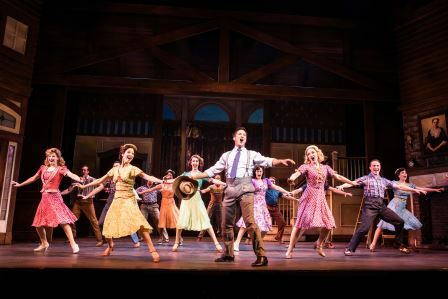 The musical now officially titled “Irving Berlin’s Holiday Inn” is based on the 1942 movie “Holiday Inn,” which was updated on screen as “White Christmas” in 1954, which in turn was adapted into a stage musical (“Irving Berlin’s White Christmas”) in 2000, with Broadway stints in 2008 and ’09. 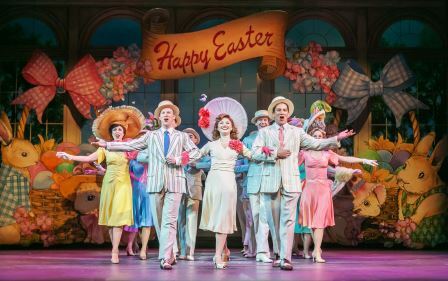 This latest one, “Irving Berlin’s Holiday Inn,” premiered regionally in 2014 and had its own Broadway engagement over the 2016 holiday season. Did you follow that? No matter; just know that Berlin’s immortal “White Christmas” is sung in all of them. 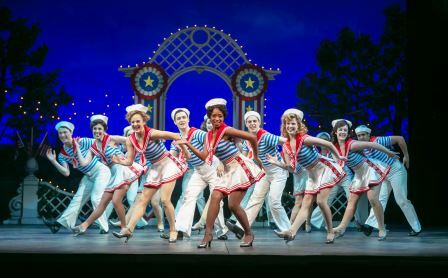 The show remains popular thanks to its score (in two meanings) of Irving Berlin songs, for which he composed both music and lyrics. 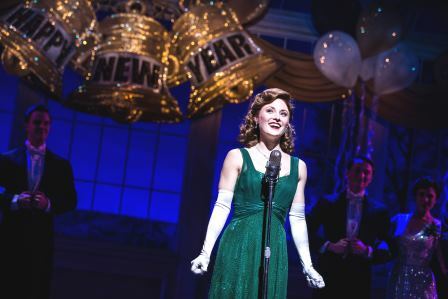 “Irving Berlin’s Holiday Inn” is running through December 30 at Paper Mill Playhouse in Millburn, NJ. How to save the farm…well, since Jim is a singer and Ted is a dancer and Lila does some of each, and, oh yes, schoolteacher Linda also sings and dances, they come up with the only possible solution: Let’s put on a show! Furthermore, since all their show-biz pals are laid-off during all the holidays (except at Paper Mill, fortunately), their shows will run only during those times. Ergo, the Mason Farm becomes…wait for it: Holiday Inn! 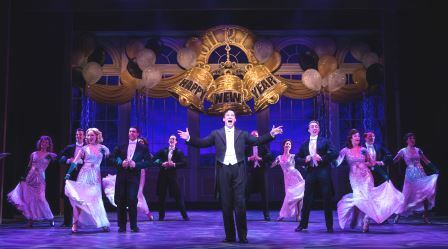 There is no denying the appeal of the Berlin favorites, including “Cheek to Cheek,” “Blue Skies” and “Let’s Take an Old Fashioned Walk,” as well as some lesser-knowns like “The Little Things in Life” and “Song of Freedom.” Larry Blank’s orchestrations and music director Shawn Gough’s fine orchestra do them justice. The Paper Mill principals, while comfortable, are outshone (with one exception) by the excellent singing/dancing ensemble and, it should be noted, by designer Alejo Vietti’s fetching costumes. 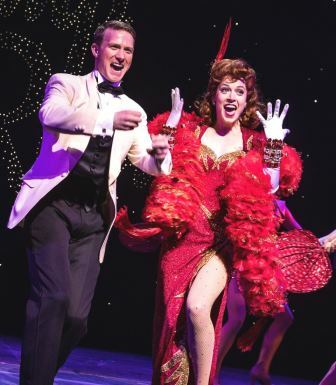 Ms. Podschun is the show’s treasure, along with the vibrant ensemble that energizes Denis Jones’s choreography, including a pretty nifty jump rope break. Jones and director Gordon Greenberg performed those same functions for the 2016 Broadway production. 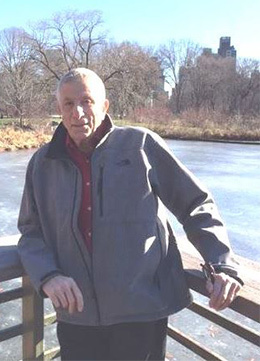 Greenberg also co-authored the book (with Chad Hodge). As for the scene-stealing costumes, see these photos. They and others, like the gorgeous rose-colored Valentine’s Day gowns, are as pleasing to the eye as Irving Berlin’s melodies are to the ear. Paper Mill Playhouse is not a farm, but it is a worthy stand-in this Holiday season.